Rwanda is a very surprising country. It was the one I was most afraid to spend any time in, and therefore the one I chose to visit as a way of stretching myself. I arrived in Rwanda on Monday at dinner time. Right off the bat I was impressed with how developed the country is. The Kigali airport is not Pearson, but it is quite a respectable intermediate-sized airport. I was in Rwanda during their Week of Mourning, an annual remembrance of the genocide of 1994. Everyone is quiet and subdued as they reflect on what they either endured as victims or perpetrated as oppressors. Each year the week has a different theme and this year’s was “Upholding the Truth, Preserving our Dignity.” The purpose of the week is to reinforce everyone’s commitment to the declaration, “Never again!”. 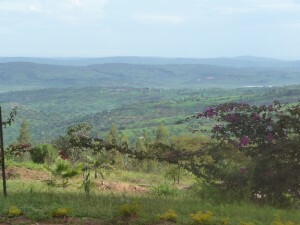 Rwanda is a country of 11 million people living in an area slightly smaller than Vancouver Island, giving it the highest population density in Africa. Every square inch of ground is in use and there is a push on for families to limit themselves to three children. The GDP is growing nicely every year and the government is on a real push to fast forward the infrastructure development so that the country will be seen as a developed nation. Image is the key to understanding what is happening in Rwanda. They want to be seen as the most developed Third World nation. While there are signs of success, they still need to do something for the lower working class and the poor. 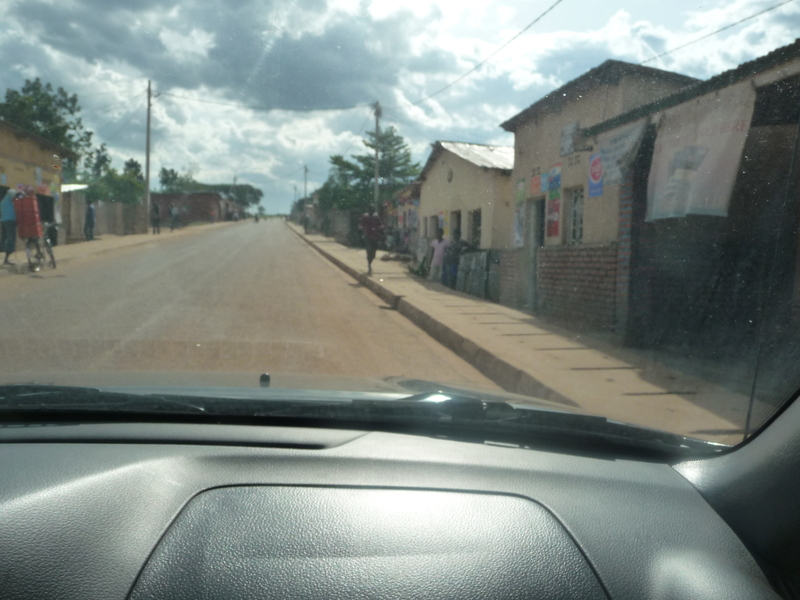 In fact, Rwanda is a land of stark contrasts. I saw a dirt hovel on a property right next to an elaborate mansion enclosed by a brick wall with barbed wire on it (a standard household feature I’ve seen in every African country I’ve visited – I’m writing this in South Africa). The government recognizes that there are four negative views of Africa that are usually held by foreigners, and they have tackled each one head-on. They are: 1) lack of personal safety; 2) filthiness; 3) corruption; and 4) poor environment for business investment. One way of reducing crime is to shame the offender in public. When a person is caught, they likely may be beaten. The point is not to seriously hurt them, but to hurt them enough that they will be feeling it for a week or two. I heard that a person caught stealing corn had to stand holding a basket of corn cobs on his head with his two hands, while a cob was stuck in his mouth, causing him to drool in front of everyone and look silly. The idea is to shame them into better behavior. There is also a police presence on the streets that is more than we see in Canada, and they carry rifles. I felt safe everywhere I went. 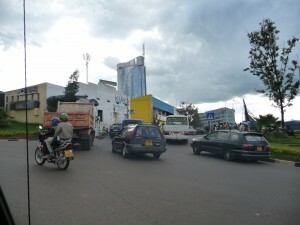 Kigali is a pretty clean city. I saw several groups of men wearing light blue shirts cleaning up the streets, landscaping and doing other work for the public good. These are people doing one year of public service as restitution for their past offenses. I’m not sure if their offenses are still at this late date related to the genocide or if they are more recent criminal offenses. Either way, the men are helping to beautify the capital city. Over the last five years there has been tremendous change as dirt tracks became dirt roads, then cobblestone roads and finally paved roads with curbs and sidewalks. Some slums have been cleared out and the people moved to some very good planned communities, but sometimes the poor have just been pushed out with nowhere to go. More consistency is needed in caring for the poor. The government has on several occasions ordered people to paint their houses or otherwise fix up their properties within 30 days so that their street looks more developed. 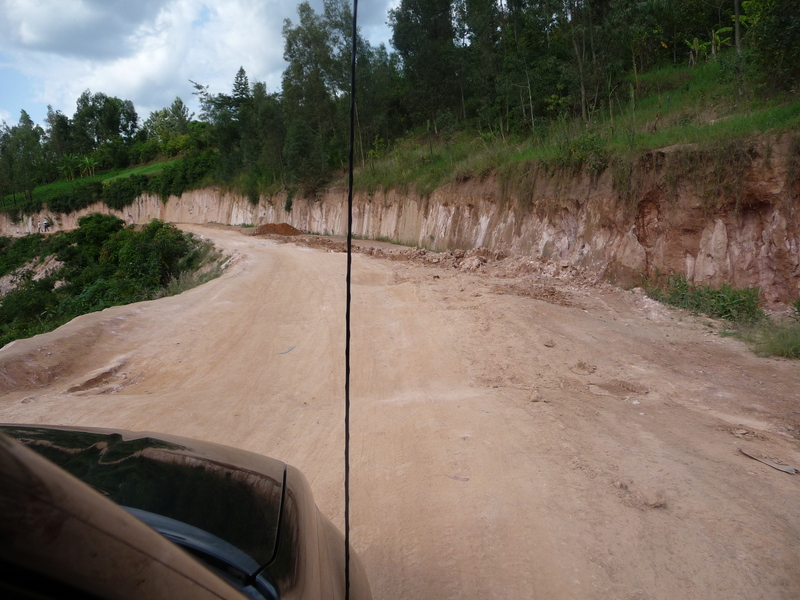 But there are still heavily rutted roads once you get off the main road, and one that we were driving on simply became impassable, and we had to turn around and go back. Not even a truck could get through. Rwanda has cleaned up corruption at all levels by having an ombudsman investigate all reports of corruption or even suspected corruption. The ombudsman does not turn files over to the police, but has the authority to lay charges himself. There is zero tolerance for corruption, and I’m told even the president’s son-in-law was caught and personally chastised (beaten) by the president, as well as receiving whatever other sentence the law provides for. Finally, they have simplified investing in Rwanda by bringing all the departments and offices a business would have to deal with together in one place. They’ve streamlined the bureaucracy. The improvement has been amazing. High-rise office towers are not only being built, but they are also occupied. Every two years the World Bank ranks countries by their level of development. Five years ago, Rwanda was 143rd on the list. Two years ago it was 67th, and this year it was number 59! The results speak for themselves. I stayed with a really great (and hospitable) family, Jeffery and Jodi Komant. Jeffery is executive director of the Wellspring Foundation in Rwanda. Actually, he is co-executive director along with Richard Taylor, who is based in Canada. They run the Wellspring Academy, a Christian school that was started from the Christian Life Assembly church of Kigali. This church was planted by a PAOC missionary (Jeff’s father) and it has grown in size and ministry over the years. The church has diversified into many mercy ministries, which is good because the Rwandan government says that if a group of people are going to get together and if they are going to own land, then the least they can do is contribute to the public good in some tangible way. The government is forcing the church to be the church! I also visited the Urwego Opportunity Bank, meeting with Jeffrey Lee, the president, and Daniel Ryumugabe, who heads up the Transformation department. (Now there’s a neat department!) I was very impressed with their strategic planning process that starts with a vision supported by its biblical foundation. They have a very clear logic model and everything revolves around a goodness of fit with the biblical foundation, logic model and values. On Wednesday night I went with Jeff and Jodi to their cell group and met some very interesting people (and enjoyed a study of John 14). 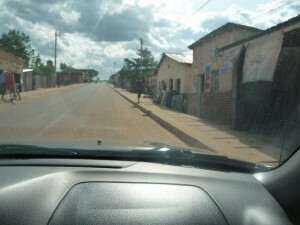 Then it was off to the airport for a 1:00 am flight back to Nairobi and a 5:30 am flight to Malawi. I enjoyed every minute I spent in Rwanda except for the Muslim call to prayer every morning at 4:45 am and the evening prayers. 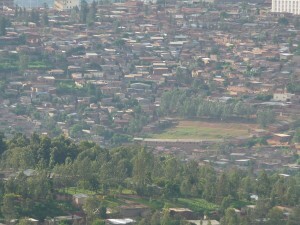 Kigali is built on the hills of a shallow valley, and the mosque’s loudspeaker must be set at full volume because it can be heard in every part of the city! Only 5% of the population is Muslim, but the mosque produces by far the loudest sounds heard in the city. Slightly behind that are the animals (cows, dogs, roosters and whatever). Shortly after the call to prayer each day, I heard roosters crowing at daybreak.